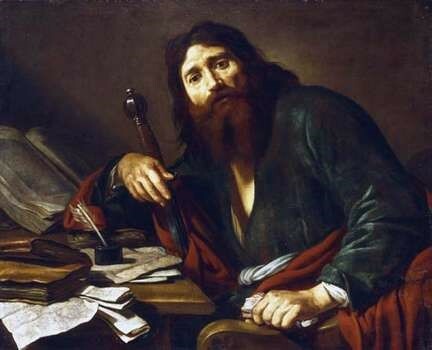 Paul’s writings were almost always “fired off to deal with local crises”, dictating them to “answer problems or refute opponents”. We see Paul writing and “thinking under pressure” and the outcome is a sort of “lava-flow of heated words”. He is not a cool detached philosopher, but an “embattled messenger” as well as “a mystic and a deep theologian” – a “man busy in many fronts, often harried, sometimes desperate”. Paul describes himself as, “If anyone else has a mind to put confidence in the flesh, I far more: circumcised the eighth day, of the nation of Israel, of the tribe of Benjamin, a Hebrew of Hebrews; as to the Law, a Pharisee; as to zeal, a persecutor of the church; as to the righteousness which is in the Law, found blameless.” (Philippians 3:4-6). What is the source of this zeal, which we feel so much in his letters? From Paul, A Biography by N.T. Wright: Paul was raised studying the Torah, wearing the tefillin on his arms and head. Tefillin were small, leather boxes containing key scripture passages that were strapped on as Moses had commanded all male Jews to do when praying the morning service (p. 27). We lived and breathed his faith, and learned early on that it was God’s people against the rest of the world. Outsiders were considered a threat. One must strive for righteousness. The Hebrew word for righteousness is tzedaqah, or more closely translated as a committed, covenanted relationship. There is a covenant between God and God’s people to be bonded. Zeal was the outward badge of the unbreakable relationship (p. 31). So when Paul met the risen Christ on the road to Damascus, this zeal was challenged AND channeled in a new way. Challenged in that ALL people are God’s people now, not just the Jewish people. And channeled in that it is ALL for Jesus. Paul is the Messiah Man! His zeal is read throughout all of his letters. Agricultural plains and gold mines nearby. On those plains Oct 42 BC Antony and Octavian defeated Brutus and Cassius (slayers of Julius Caesar). Octavian made Philippi a Roman colony. This is written probably when Paul was in prison. How does knowing this affect our understanding of Paul’s words? What meaning does this reading have for you? Today, perhaps, there is another way to understand the ‘god of our stomachs’. Could we see this as a symbol of our yawning hunger for acquisition of every kind? We want, we desire, we wish, and we yearn. We window-shop, surf the Net, and dream of something more . . . greed can often feel like need, but is it? Augustine reminds us that our hearts are restless until they rest in God. May we find ways this Lent to be hungry for the living God, the one who can satisfy us with real food. 1-10AD: Paul was born, probably in Tarsus to a conservative Jewish family (a strict, committed Jew, but a Jew of the diaspora –meaning outside Jerusalem). He knew and understood Greek culture and philosophy, but was also immersed in Jewish thought and scriptures. He was apprenticed and practiced tent-making. 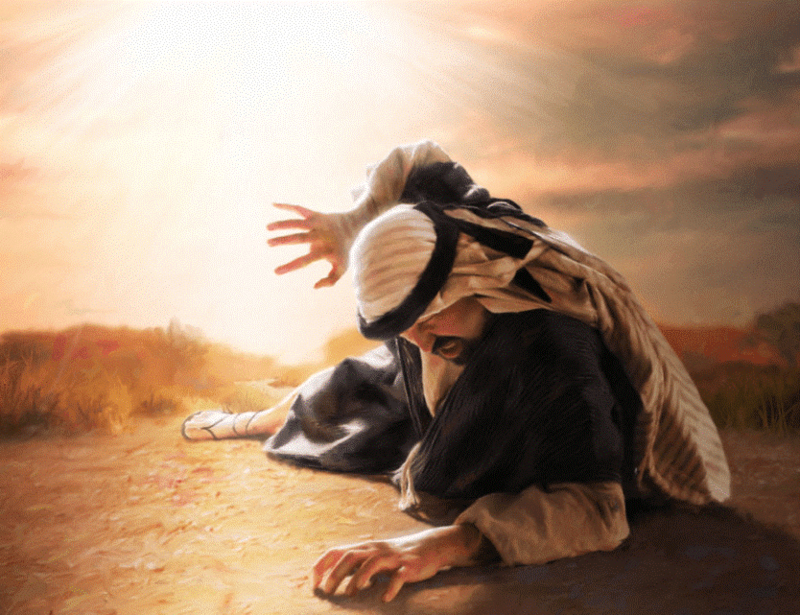 So, he lived when Jesus lived, but he did not “know” him until after the Resurrection. 36AD: Paul went to Jerusalem for 15 days where he met Peter (Cephas) and James, the brother of Jesus. Then Paul went back to Tarsus. For the next 10-ish years, we are not sure where Paul was or what exactly he was doing. We might assume he did a lot of praying and reflecting on his theology, and eventually preaching in Antioch. Somewhere in the 40’sAD, Barnabas comes to visit him (maybe to check in on the stir he may have been causing). 46-48AD: 1st Missionary Trip to and from Galatia. Paul writes Galatians. 48-49AD: The “Council of Jerusalem” – read Galatians 2: 1 – 10-Paul and Barnabas present to James, Cephas (Peter) and John, “remuted to be pillars,” the gospel that he preached to the Gentiles – that they were not to be enslaved by the Jewish dietary laws or circumcision. They shook hands and agreed that Paul should “add nothing” to this – thus “faith in Christ Jesus” became definitively open to the Gentile world. However, it did not end nice and neat…Barnabas and Paul return to Antioch-perhaps with Titus-but there were mixed messages being preached. It may have been that the “pillars” felt okay with Paul speaking this way in Antioch, but they still held their Jewish beliefs in Jerusalem (especially Peter). 49-51AD: 2nd Missionary Trip to Greece. Paul writes I Thessalonians and visits Corinth. 52-53AD: Paul in Jerusalem, Antioch; 3rd Missionary Trip to Ephesus. Writes I Corinthians. 53-54AD: Short, painful visit to Corinth. 55-56AD: Imprisonment in Ephesus. Writes Philippians, Philemon. 56-57AD: Released from prison, travel from Ephesus to Corinth, writes 2 Corinthians and Romans. 57AD: Travels from Corinth to Jerusalem. Riots and prison. From here, he may have gone to Rome, maybe shipwrecked in Malta on the way. There could have been further travels in Spain or to the east. Early tradition holds that both Paul and Peter were martyred in Rome under the Nero persecution of Christians in the early 60s.